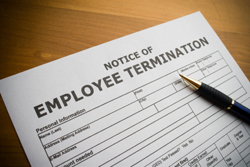 Have you been suffering from discrimination, harassment or retaliation in the workplace? Consult labor and employment lawyers from Simpson Law Group at 619-236-9696 to discuss your legal option. Labor and Employment law includes areas such as wage and hour claims, safety and health standards, whistleblower protections, and wrongful termination. California has many laws in place to protect its employees, including the Fair Labor Standards Act and the Occupational Safety and Health Act.The California Fair Labor Standards Act establishes standards for minimum wages, overtime pay, recordkeeping, and child labor. These standards affect workers who are both full‑time and part‑time and in both the private and public sectors. The lawyers at Simpson Lawyer Group provide experienced representation for persons who have suffered from discrimination, harassment or retaliation in the workplace. If you feel your rights as an employee have been violated contact Simpson Law Group for a free case evaluation.